We have a very simple system to encourage and motivate our children to make good choices about their behaviour and the way they treat each other. Our positive approach to behaviour management encourages children to be 'Bee Keepers' and reflect on good and bad choices in relation to our six bees. Our seventh bee is to simply 'Be Happy'! 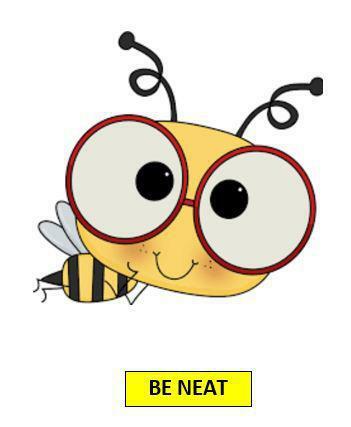 Our new bee - Be Neat - was introduced to help us to remember to look fter and respect our beautiful new school!